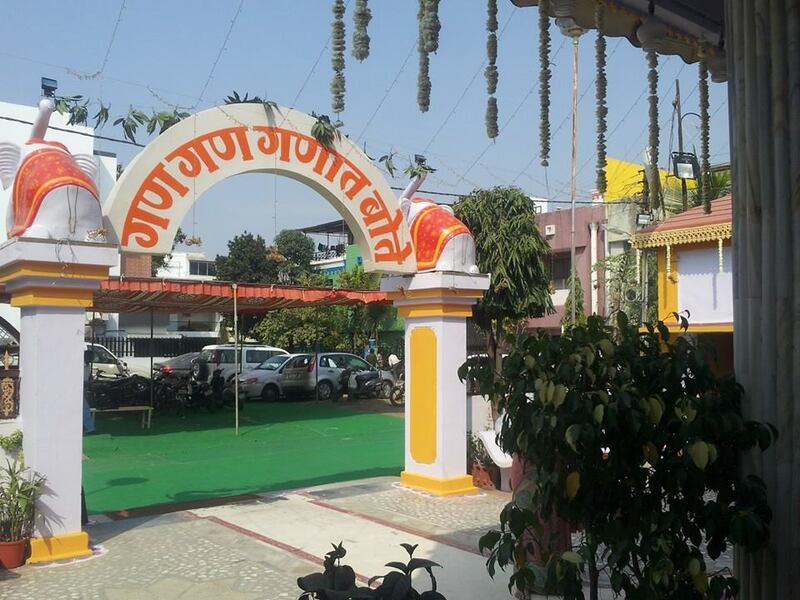 “Shree Sadguru Gajanan Maharaj Sewashram“, Paliwal Nagar, Indore was established in 1988 on the auspicious day of “Vasanthpanchami”. “Sarv jan Hitaaye, Sarv jan sukham” this sentence motivated the establishment of this sewashram. In the year 1988 Mr. Paliwal donated the area of 13000 square feet. On the auspicious day of Vasanthpanchami , the “Bhumi pujan” was done under the guidance of Shri Guru Baba and in the presence of the Gajanan family. Indore is a city of saints. 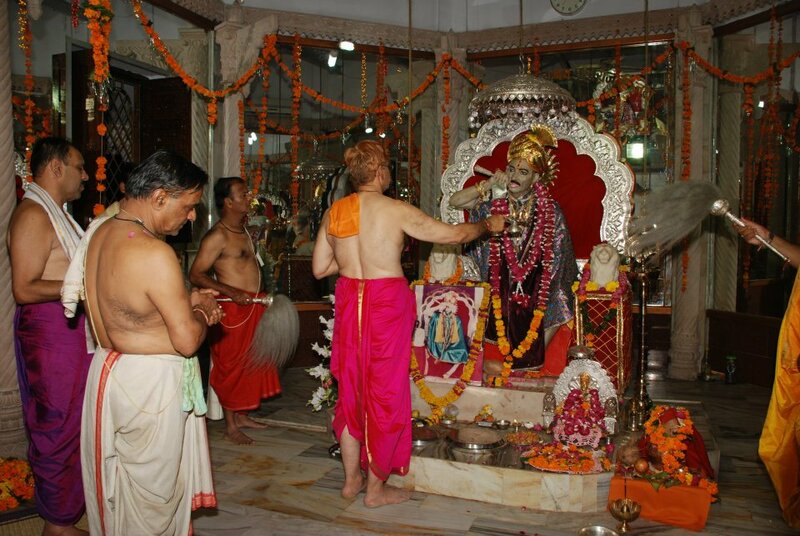 There are many devotees of Shree Gajanan Maharaj in Indore. By significant efforts of Shree Anant Behere (Gurubaba) collective Bhakti and Aaradhana of Shree Gajanan Maharaj has been going on for many years here in Indore. Shree Maharaj’s Upsana had been going on at Shree Bhaskar Sonavalkar’s residence in Janakinagar 2-3 years before the temple was built. In addition to regular Aarti, Bhajans and Bhandara on Thursday, every year Maharaj’s Pragat-Utsav and Nirvan-Utsav was celebrated regularly. 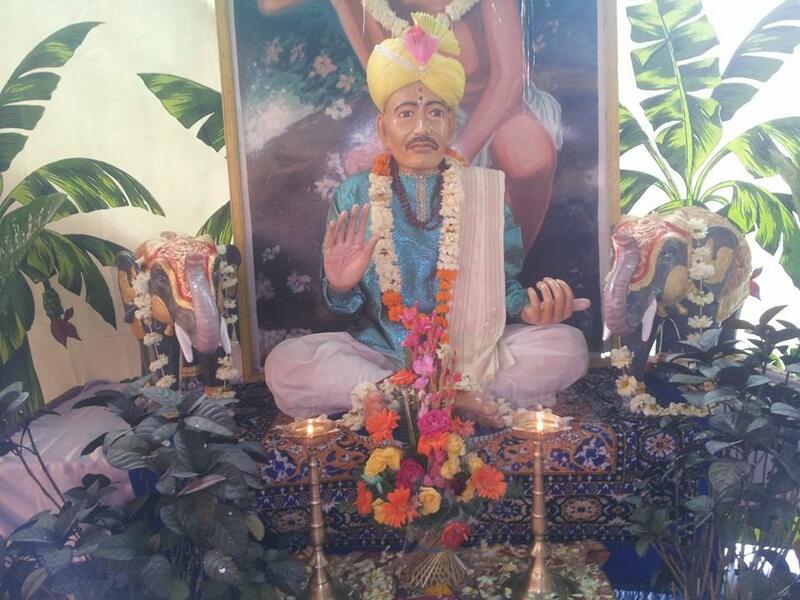 The main goal of Sewashram in building Shree Gajanan Maharaj’s temple was to create awareness of true Dharma among people and to help them lead a cultured and life full of good values. Other goals consisted of helping poor students in their education and creating an old age ashram for the elderly. After “Bhumi pujan” two rooms were constructed. 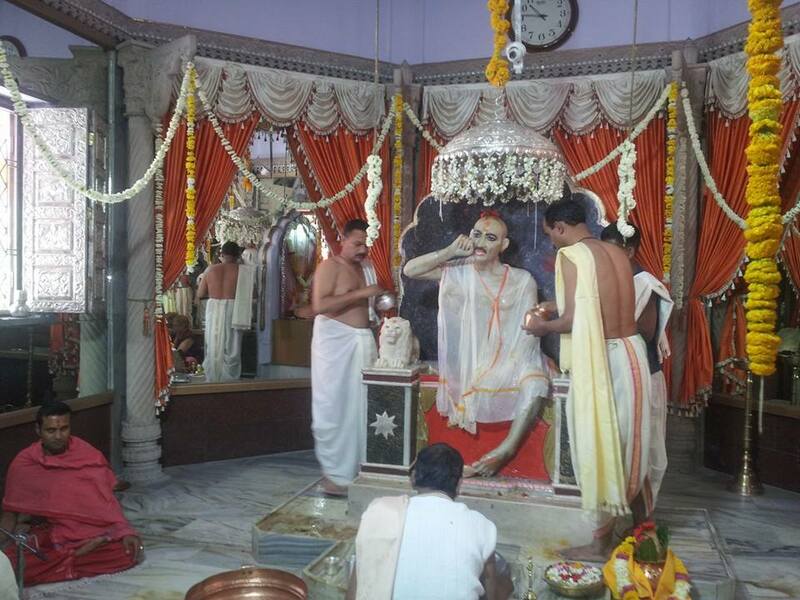 In one of the two rooms big photo of Shri Gajanan Maharaj was being placed and was worshiped. 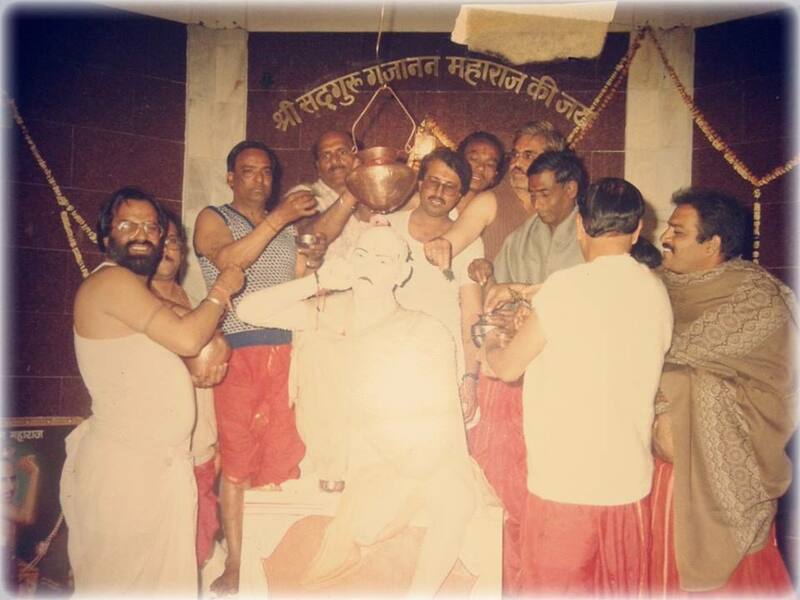 Shree Gajanan Maharaj told Gurubaba to perform “Murti-stapana” on 23rd February 1994. Accordingly the “Pran-Pratishtha” utsav was celebrated over 4 days in February 1994. There are 3 floors in the temple consisting of: Talghar (Basement), Shabhamandap (Main Hall) and First floor for reading Maharaj’s pothi. This in turn symbolise Yogmarg, Bhaktimarg and Karmamarg respectively. 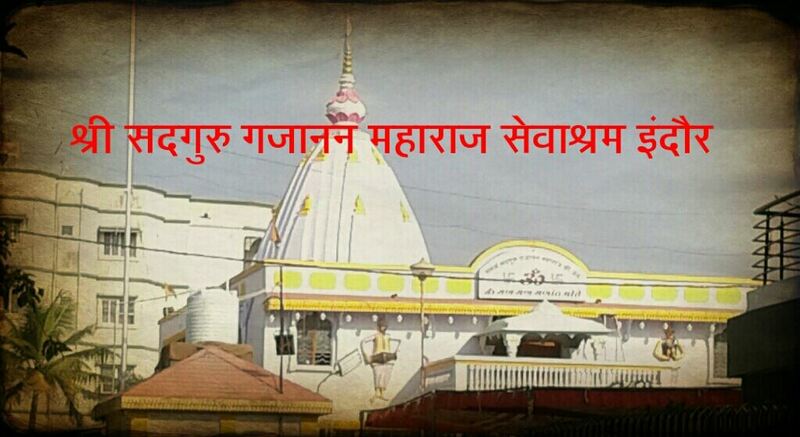 The main Garbh-Gruha (Main ritual place where Maharaj is placed) is of 224 sq feet and is Octagonal shaped. Octagonal shaped Garbh-Gruha symbolizes the protection and presence of Eight Sidhees of Shree Gajanan Maharaj. 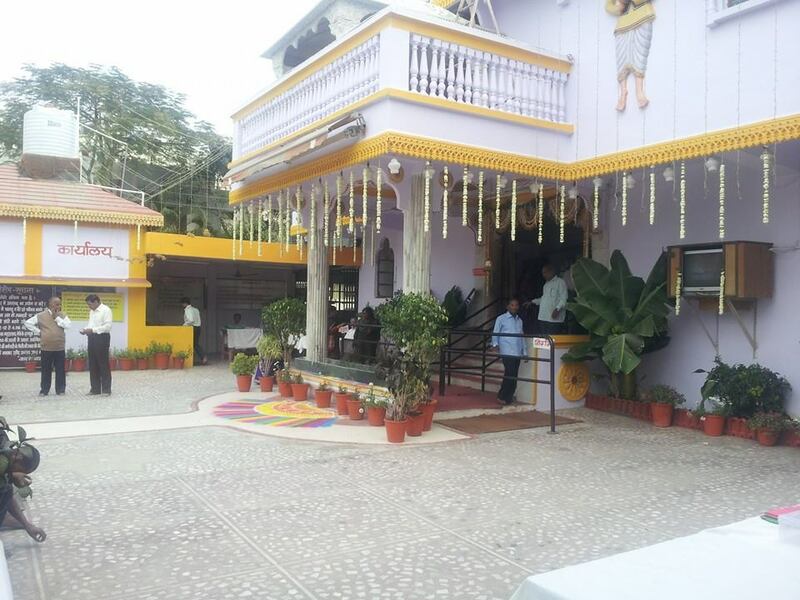 Temple sabha-mandap is of 2,000 sq feet and consists of Marble flooring and pillars covered with Granite. Shree Maharaj main idol is 5 feet tall, made of marble and is directly looking into devotees eyes. 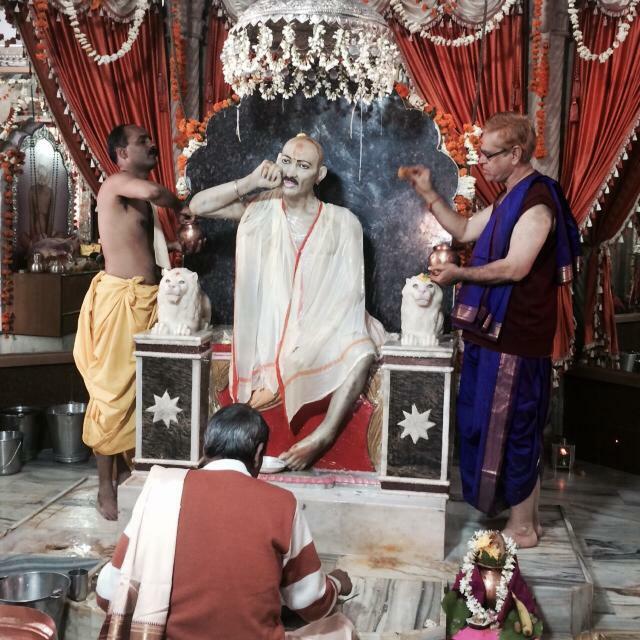 Shree Maharaj has a “Chileem” in his right hand. In the year 1992 the Thursday ‘Maha Prasad’ was started. 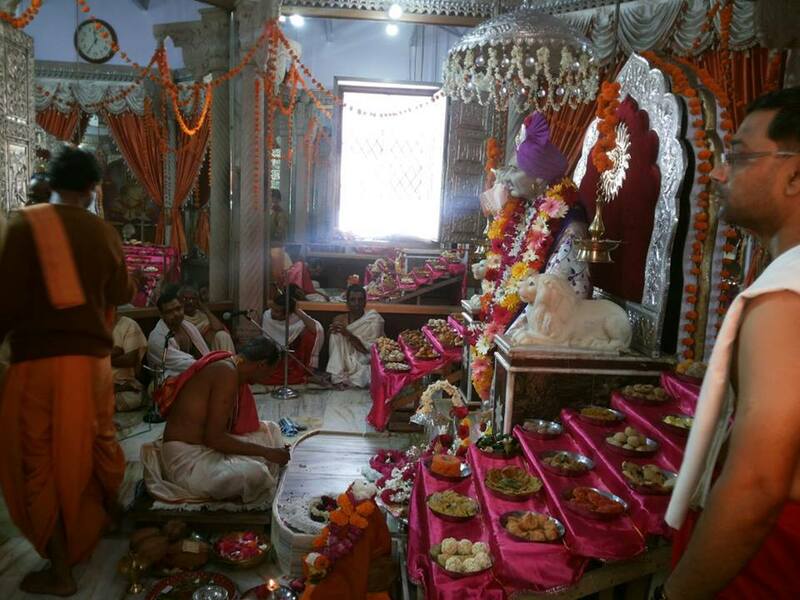 Only 13 worshippers took the ‘Maha prasad’ on the first day. 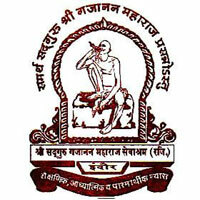 Today Thursday ‘Maha Prasad ‘ is celebrated in large numbers. People come from Indore and outside of Indore to seek Maharaj’s blessings and Mahaprasad. From the construction of temple till now the members of Gajanan family have felt the presence and blessing of Shri Gajanan Maharaj. The importance and value of Institutions like this cannot be abstracted in few words.